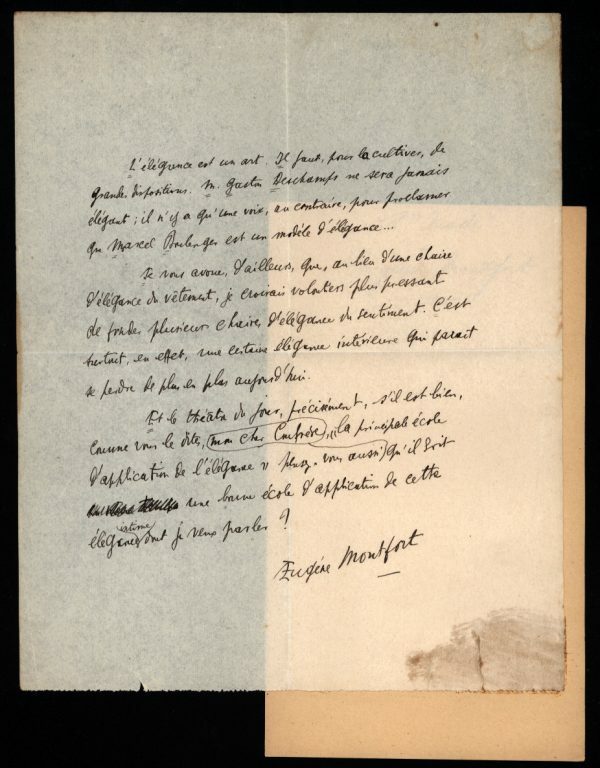 Autograph manuscript, probably for publication in a magazine, signed ‘Eugène Montfort’, beginning “L’élégance est un art…..” 1 page 10 x 8 inches, folded, tipped at one corner on to part of an old album page. c.1910. Eugène Montfort (1857-1940), French writer.